Allergies are a huge part of our lives, and they affect many parts of it. Every where we go, every place we visit and every time we eat, allergies are always on my mind. Sometimes I can’t actually imagine what it must be like to not have those worries and concerns, and anything that makes living with allergies a little easier is highly rated by me. We have developed strategies, we have found our safe places and we have ‘go to’ plans that mean day to day life is as easy as possible. There are specific restaurants I like to eat at because the allergen info is good, specific soft plays that I know will be fairly quiet and very clean, and specific places I like to take Dil because I know I’ll be able to relax a little while we are there. 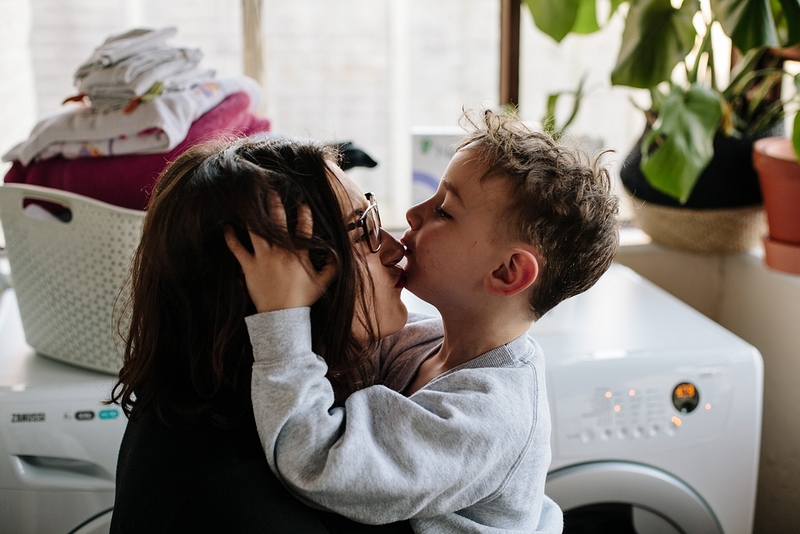 There are also some specific products that we use now to make life a little easier, and something I don’t have to worry about is his sensitive skin becoming irritated or flaring up because of any nasty chemicals thanks to choosing Neutral 0% laundry products to wash our clothes. 1 in 4 people in the UK suffer from allergies, and this number is on the rise. 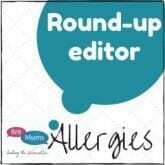 It’s about time that there were products on the market that work for allergy families, putting your mind at ease as a parent by taking care of the washing and looking after sensitive skin at the same time. There’s nothing better than a pile of freshly washed clothes and knowing that your little one can happily wear it all. We’ve been working with Neutral 0% – a brand whose focus is on saying no to the things we don’t need, so we can say yes to the things that really matter. 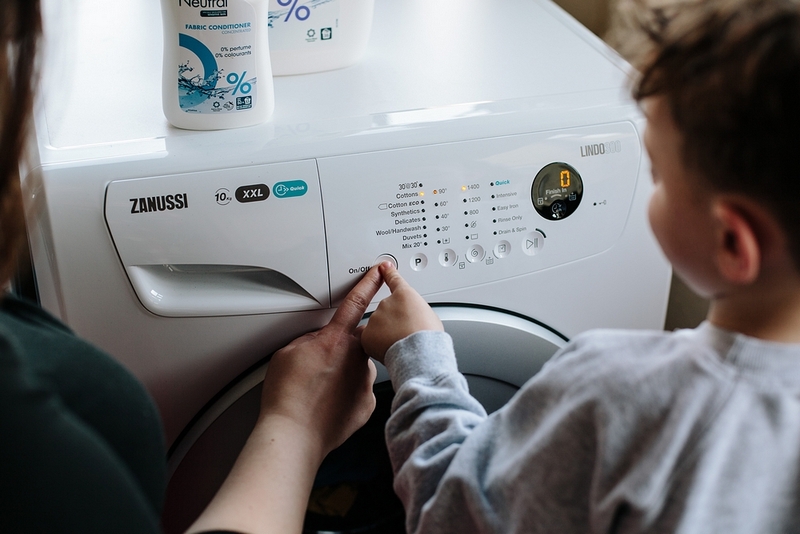 Their laundry products are hypoallergenic, dermatologically tested, recommended by Netmums and have received the Allergy UK Seal of Approval. With 0% perfume, 0% colourants and 0% parabens the range is perfect for the most delicate or sensitive skin. 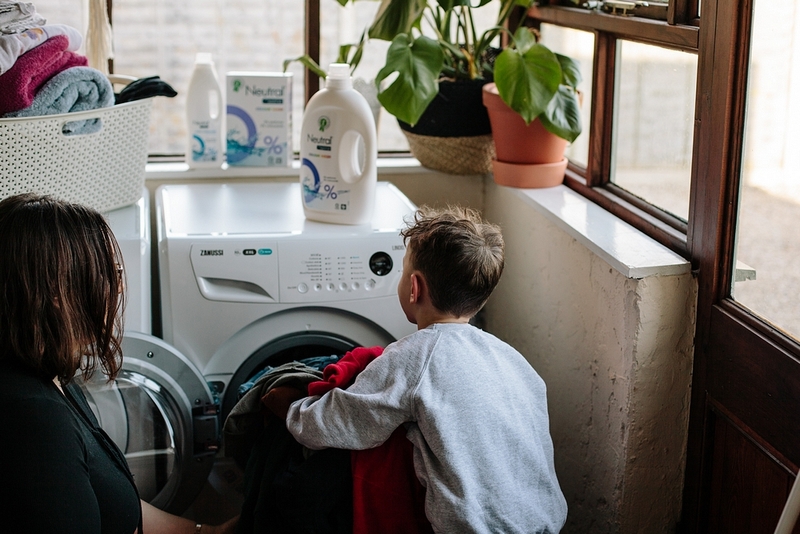 They believe that exposing ourselves to the potentially harmful substances in traditional laundry products is senseless, so they’ve worked hard to create products that are free from these irritating additives. 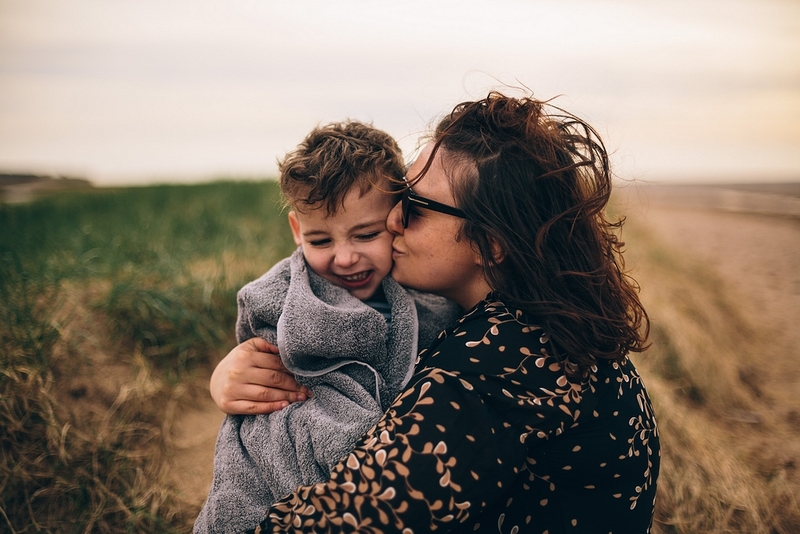 One of the common symptoms of Cows Milk Protein Allergy is eczema, and I know many parents dealing with allergies have little ones with really sensitive skin. I know how hard it can be trialling cream after cream, 30 different washing powders and fabric softeners, desperate to find things that don’t aggravate your child’s skin. The sleepless nights because the new one you’re trialling has made them itch, or the sore skin and upset because something you’re using has made their skin condition flare up. Neutral 0% believe that by eliminating the unnecessary additives from their range they can create products that are gentle enough for these situations, but still tough enough on stains to get the job done. Less worrying about flare ups and reactions means more freedom to enjoy life. More time to explore and adventure, more time to get covered in mud/sand/grass stains while making memories, knowing that your washing powder can take care of the mess safely later. Less time spent nursing your child’s sore skin and more freedom to have some carefree fun, savouring the day without constantly being on high alert for itching and rashes. Enjoying life together without a care in the world, for a little while at least. As the weather warms up join Neutral 0% in saying no to what doesn’t matter and yes to what really does. Whether you are running around the park in t-shirts and shorts, cuddled up in bed under the covers reading a story, or at the beach splashing in waves then getting dry with a nice big fluffy towel, you have the freedom to enjoy the sunshine and worry less about reactions and irritations. 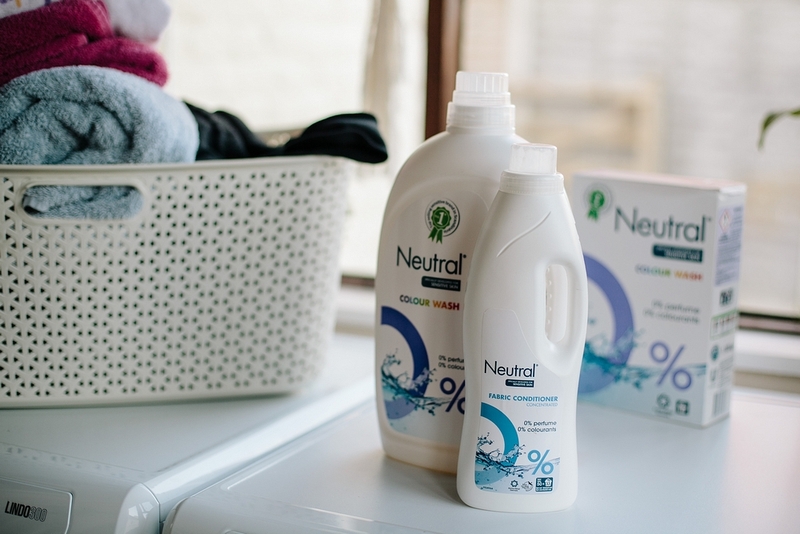 If you’re interested in trying the products, the Neutral 0% Washing Liquid and Fabric Conditioner are currently on promotion in Ocado and the range is also available from Sainsbury’s and Amazon. To find out more about Neutral 0% visit www.neutralsensitiveskin.com.